Pictures of the French Riviera in the Old Town Nice, France tempts any sun lover to book a flight to France and head to the beach. Many tourists head to the beautiful beach in the Old Town of Nice in France, Europe to take some incredible pictures of the coastline along the French Riviera. Beach, trees, and unique shops are just a small part of the spectacular life that the French Riviera in Europe has to offer. The most prestige regions of the French Riviera in Europe are Nice, Monte Carlo, Monaco and Cannes.Waterfront and beach in the Old Town of Nice, Riviera, Provence, Cote d'Azur, France, Europe. 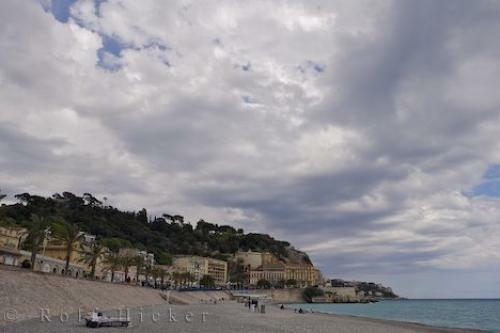 Photo of the beach in the Old Town Nice on the French Riviera in France, Europe.